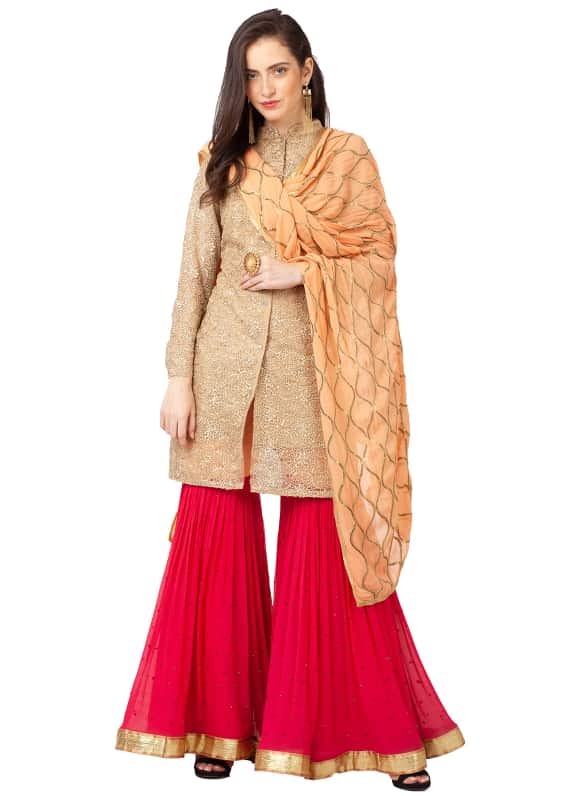 This sharara set comes with a gold net jacket with zari and sequins jaalwork. 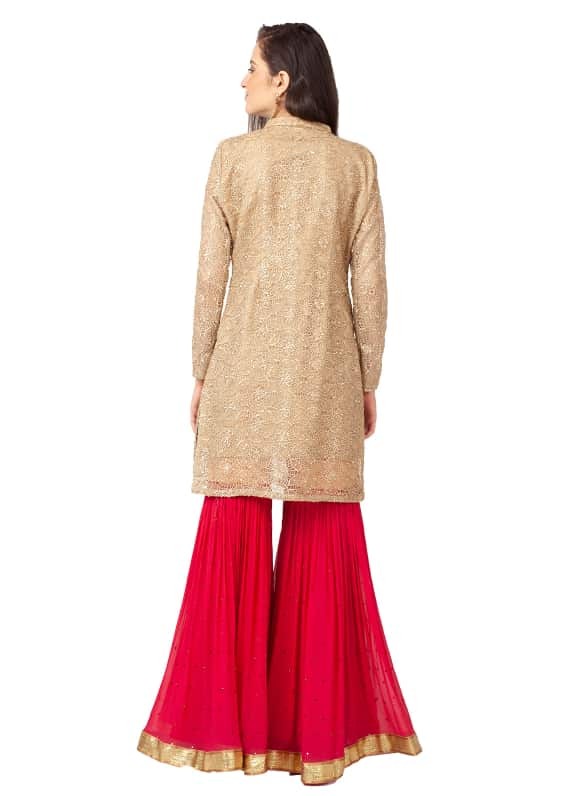 It comes with a contrast fuschia pink sharara with stonework and a peach dupatta. 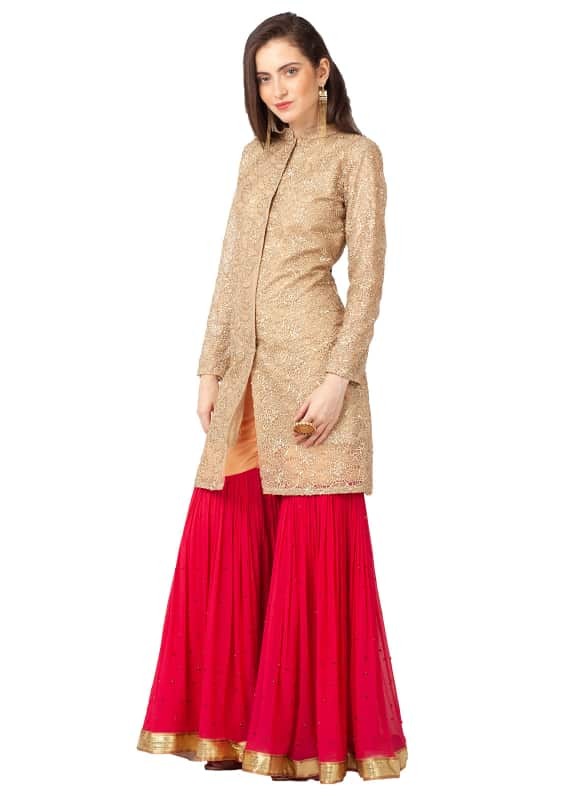 Look stunning in this elegant sharara set, great for a wedding reception or a sangeet-night. Style the look with a pair of Maithilli Kabre's gold tassels earrings and a ring by Amethyst.